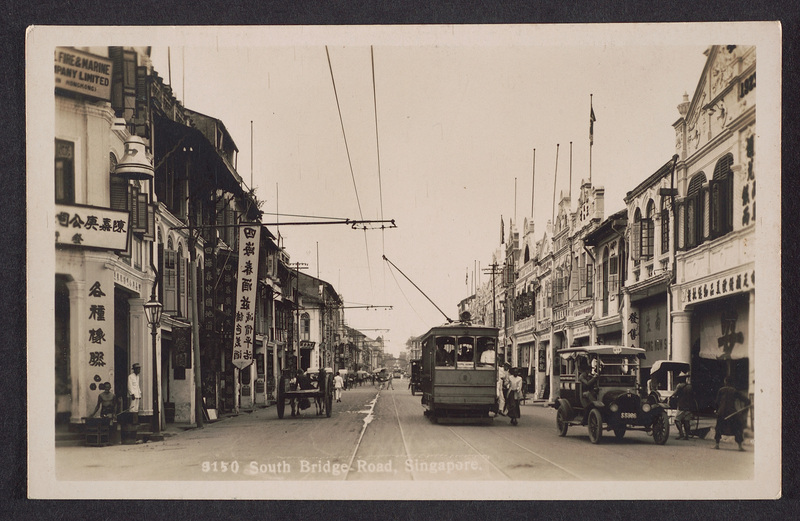 The streets of Singapore in the early to mid 20th century were testimony to the complex social and economic world of the people who lived here. Public sites witnessed colonial enchantment with modernity and progress as revealed through the numerous pictorial records. These records continue to be valuable as the life and times of those who worked and sometimes died on these streets are captured. Lurking in the corners, on the edges and in the darkened corridors, was a group of nameless entrepreneurs who made a living as rickshaw pullers, hawkers, coolies and other traders. Despite the informal nature of their work, they provided certain essential goods and services, and transformed public spaces. With their passionate calls and colourful clutter, they added exotic appeal, at least to the eyes of the bedazzled tourists. More importantly, they survived the street, prejudice and fear. This exhibition, through a diverse set of visual sources, focuses on these street actors, supplemented by a display of tools and an audio-visual footage of some of the traditional crafts – all set within the context of their varied social life. This entry was posted in EXHIBITIONS and tagged National Museum of Singapore, Singapore. Bookmark the permalink.